"I have MS, but it doesn't have me!" Alan Osmond was born on June 22, 1949 in Ogden, Utah. He was the oldest of 7 singing children born to Olive May and George Virl Osmond. They have two older sons, Tom and Virl, who were born deaf. All of the family are Mormons. Their father taught the four oldest boys barbershop harmony. The two oldest sons learned tap and dance and taught the younger ones. The Osmond Brothers, Alan, Wayne, Merrill, and Jay, began singing and dancing together in 1957 at church functions and local events. Their father got them an appearance at Disneyland, where Walt Disney took a personal interest in them. While performing there as a barbershop quartet, Andy Williams saw them. He asked them to audition for The Andy Williams Show. They became regulars on the show. And as a result, Alan and his brothers became very popular. They added Donny to the group when he was five. They continued performing on the show during the 60's. Jimmy and Marie sometimes joined them, debuting when they each turned 3. If you'd like to watch the Osmond's story, check out the videos! 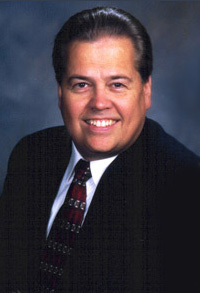 Alan Osmond kept the group together for almost 40 years. He made all the important decisions and made sure his younger brothers received equal pay for their performances. He wrote many of the 39 hit records and songs the group sang over the years. Besides leading The Osmond's, writing and composing, Alan has had his hand many other ventures. He produced the Donny and Marie TV Series and other Osmond Specials. He is the President of Osmond Studios and Osmond Foundation, which is now known as The Children's Miracle Network. He has produced and directed videos and live events, like the “Stadium of Fire”. He was also a co-producer of Ronald Reagan's Inaugural Opening Ceremony. He founded the Osmond Network as well as the One Heart Foundation. The Family.com is an internet site for Strengthening Families. He feels his most important accomplishment is being a father to eight sons and a husband to his wife, Suzanne. Alan Osmond married Suzanne Pinegar on July 16, 1974. Together they have 8 sons, Michael, Nathan, Douglas, David, Scott, Jon, Alex and Tyler. The sons perform as the Osmond Brothers Second Generation. If you are an American Idol fan, you probably know that, David has been chosen to go to Hollywood. In the audition footage before his appearance, Alan was also featured. To read more about David and his dad, use this link to go to Part 2.